Waubonsie Valley administration surveyed students last year and found out that 42% of students visited their lockers on a daily basis. In an effort to make lockers more accessible and convenient, WVHS has decided to allow students to select locker locations during the first two weeks of school. 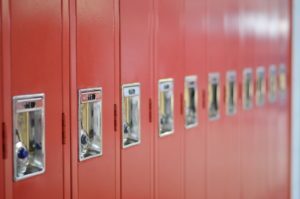 Students will walk their schedule for the first few days of school and will take note of what locker they may prefer in their hallway of choice from August 21-September 5. From September 5-7, students will fill out an online survey to select a hallway location for their preferred locker. However, students will not be able to choose exact lockers or locker numbers. Instead, they will be selecting the hallways that work best for them. On September 10, students can find their locker information in the Home Access Center under “Other Student Information”. This survey will not be available to freshmen, who will have lockers assigned to them on their schedules and their LINK Orientation. The survey will be available on September 10 on waubonsiemedia.org.